This is a competitive program geared for young adults (ages 13 - 18) who are interested in pursuing further studies or a career in Musical Theater, this workshop gives students an opportunity to receive professional coaching in voice, movement and acting, learning to fine tune their craft. A few slots will also be available for 8- 12 year olds. 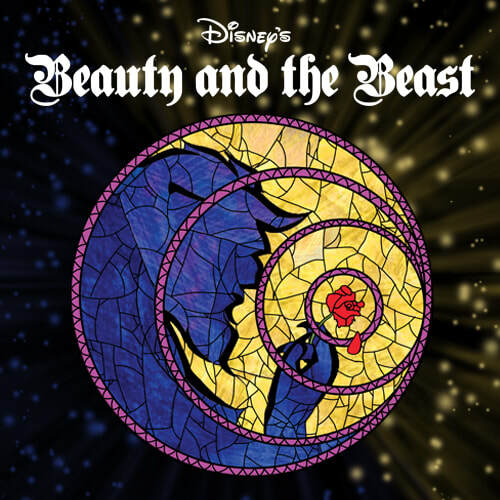 Participants will perform a crtical role in the ensemble of our professional production of Beauty and the Beast, working along side experienced musical theater actors. It's a nice opportunity to gain or add to a professional credit on a resume. OPEN AUDITIONS WILL BE HELD ON MONDAY, JANUARY 21ST FROM 7 - 9 PM Click here to Register to audition. Please review the workshop, rehearsal and performance times carefully below before signing up. We understand that there may be conflicts with school performances or other commitments and will try to accommodate these whenever possible during the early workshop and rehearsal weeks. These should be identified when a casting offer has been made. We CANNOT excuse anyone during tech week (June 2 - 5) or for performances. If you are accepted into the workshop you will be invited to enroll. There is an enrollment fee of $650. Scholarships are available. Musical Theater Workshop participants will receive a small stipend for their performance in the show.